Diwali, the festival of lights, celebrates the victory of good over evil, light over darkness, and knowledge over ignorance. 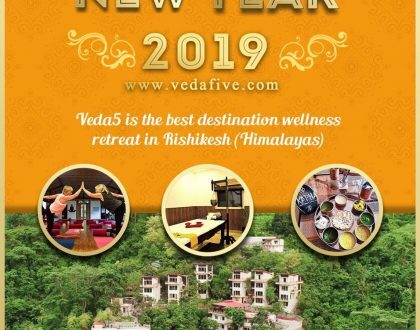 Veda5 in Rishikesh welcomes people from around the world to embrace their inner-being, gain better health and enhance their beauty through the vast knowledge of Ayurveda and Yoga in a paradise hideaway where luxurious seclusion meets exotic natural beauty. 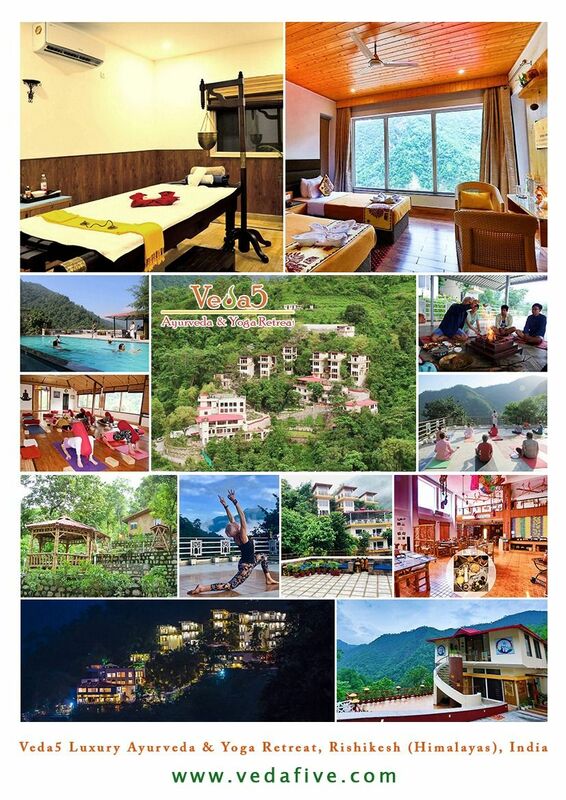 Nestled in the foothills of the Himalayas, Veda5 Luxury Ayurveda & Yoga Retreat in Rishikesh is surrounded by scenic views and trails, the goodness of lush greens and the refreshing clean mountain air to nourish the overall well-being. 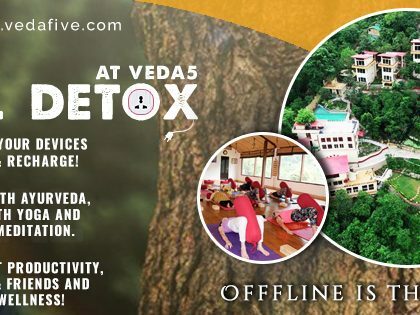 Veda5 has its own organic farm which supplies fresh herbs, fruits and vegetables as available to our kitchen. 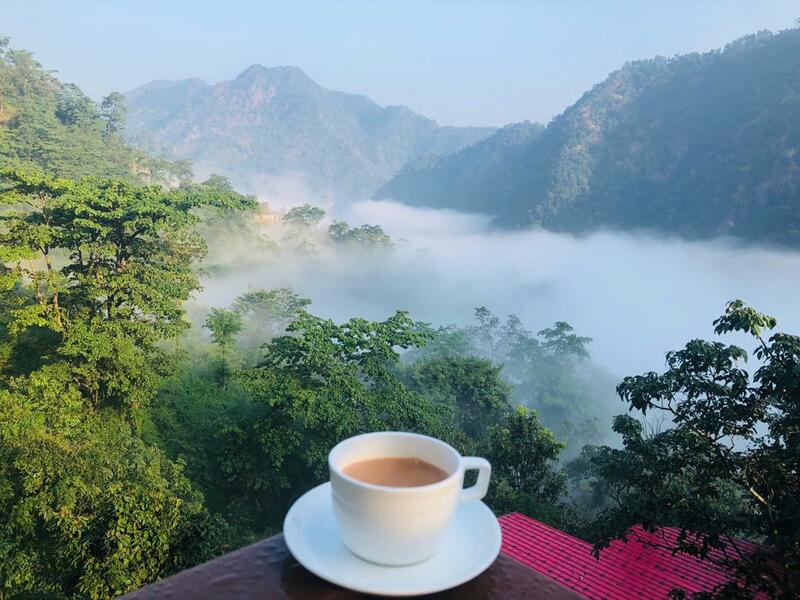 See a glimpse of the stunning view and refreshing feel from Veda5 of Diwali’s morning with Ayurvedic tea! 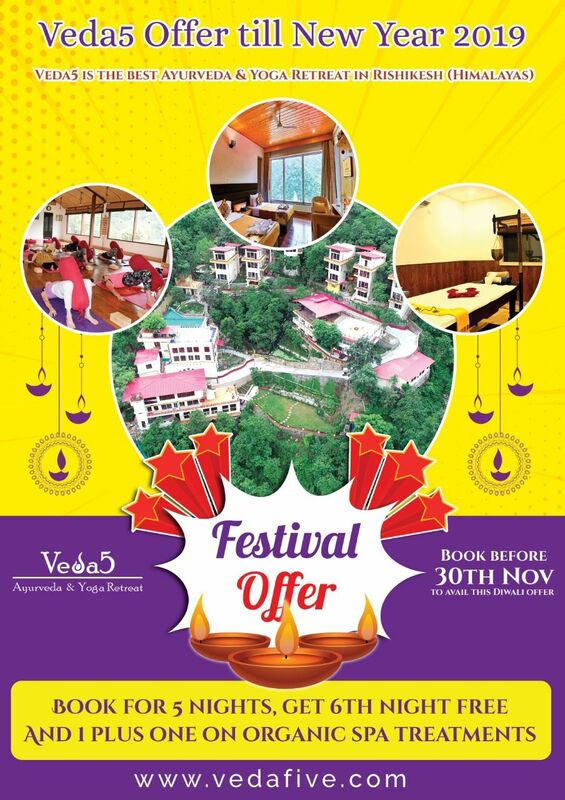 The treasures of ages and the wisdom of sages come together at Veda5. Invest into growing your fortune of health to continue growing your overall wealth! Ayurveda is a Sanskrit term meaning “science of life”. Ayu means “life” or “daily living”, and Veda is “knowing”. This healing system has been practiced in daily life in India for more than 5,000 years. 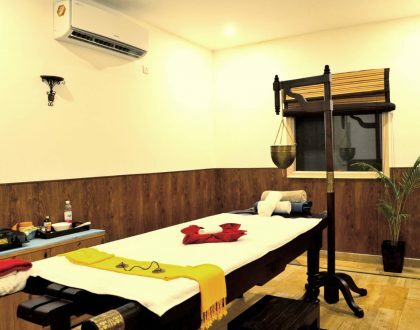 Veda5 Ayurveda clinic and spa in Rishikesh are run by highly-experienced doctors and offer the best authentic Ayurvedic treatments and customized care for each guest. For more details, please see our website. You’re welcome to contact us for any details. Wishing you and family a healthy & prosperous Diwali!